Morrisville Police investigate after a man was fatally struck by a train. 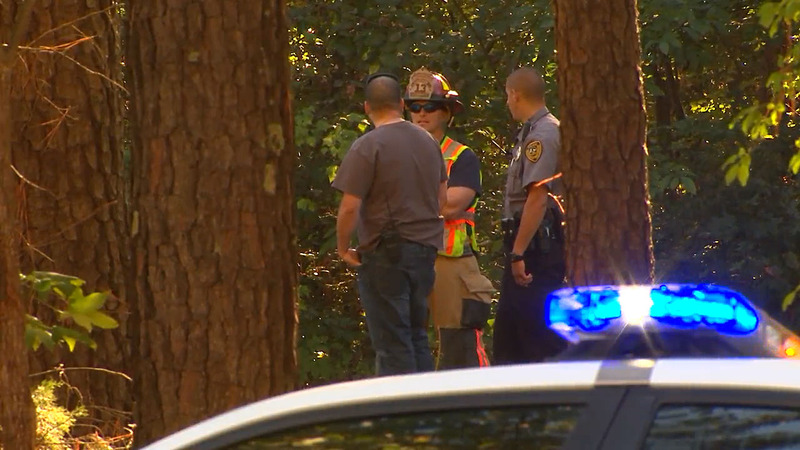 MORRISVILLE, North Carolina (WTVD) -- A man was fatally struck by an Amtrak train near 10405 Chapel Hill Road on Tuesday afternoon in Morrisville. The accident was reported at approximately 3:45 p.m.m Morrisville Police said. Morrisville officials investigate after a man was fatally struck by a train on Tuesday afternoon. "Amtrak Train 74 came into contact with a person who was trespassing on the tracks," Amtrak spokeswoman Kimberly Woods told ABC11. "Service has been temporarily suspended as local law enforcement investigate the incident." There were 29 passengers aboard the train, Woods said. No other injuries were reported. Traffic in the area was not affected. Train 74 is the Piedmont, which travels daily between Raleigh and Charlotte. Morrisville Police are investigating. Morrisville firefighters assisted at the scene.